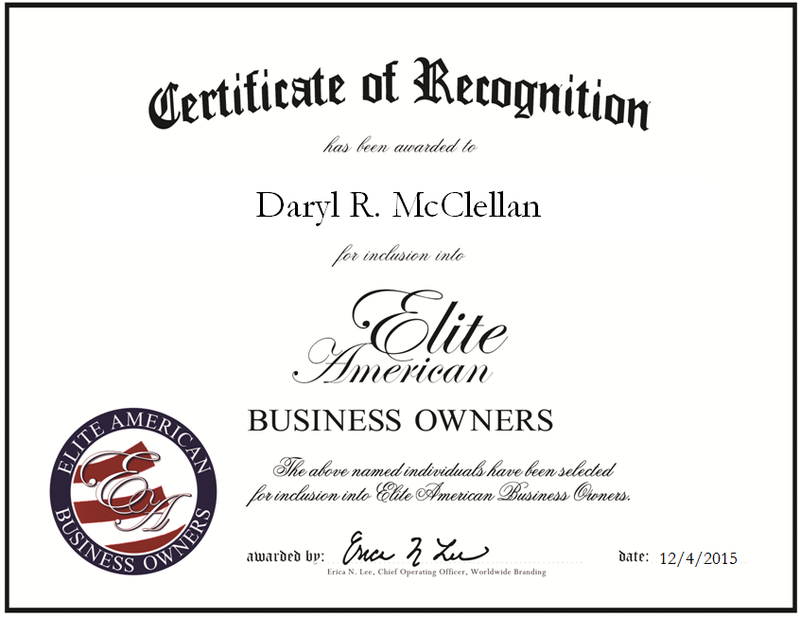 North Little Rock, AR, December 4, 2015, Daryl McClellan, Deputy Program, Operations and Maintenance Manager of AT&T Intellectual Property and President, Owner of McClellan Consulting and Construction LLC has been recognized by Elite American Business Owners, for dedication, achievement and leadership in telecommunications and consulting. Mr. McClellan is a man of many talents, working to operate and manage telecommunications company AT&T while lending his talents to his own construction and consulting company. For AT&T, Mr. McClellan manages facilities throughout several states and provides support in maintaining infrastructure, budgeting and training requirements. For McClellan Consulting and Construction LLC, he utilizes his knowledge in general contracting, ensures facility inspections and also implements vertical and horizontal construction techniques. With a Bachelor of Science in multi-disciplinary studies with a focus in business from Grantham University and operations management and maintenance experience from a 22 year U.S. Navy Seebees service, Mr. McClellan is more than equipped to handle the double duties his jobs require. He is EPA certified in universal refrigerant handling and associated with the American Public Works Association and the International Facilities Management Association. In 2011, Mr. McClellan was honored for his work by receiving the Federal Achievers Award from AT&T. He is the former president of AT&T’s Veterans Association of Maryland chapter, the former president and past commander of American Legion Home Association of Waynesboro Post 15, and supports AMVETS of Pennsylvania. Mr. McClellan continues to pursue his goals and in the coming years hopes to become a program manager. This entry was posted in Construction, Consulting, Telecommunications, Uncategorized and tagged budgeting, EPA certified, facilities management, facility inspections, maintaining infrastructure, training. Bookmark the permalink.